Cork Boards for Schools, Offices and Retail Business are Sold Here. Framed and Wall Mounted Bulletin Displays Stand Out. Why are wall mount cork boards so popular? 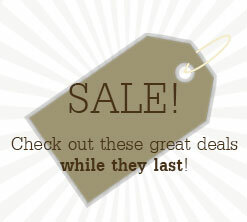 They provide the means to effectively communicate your message to the public. They are used in every office, school, and university in the country. The pure simple nature is only matched by the power of their ability to convey ideas or display important information. 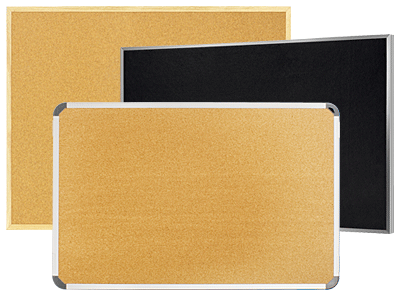 These cork boards, including tack boards and pin boards, come in a huge assortment of sizes and styles for the choosing. 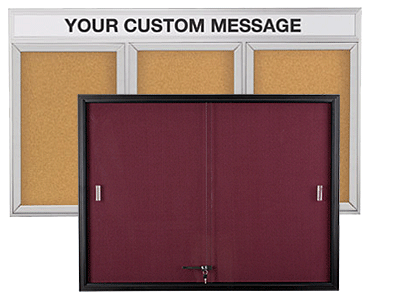 Posting displays are available as framed, enclosed models or simple, open-faced styles. 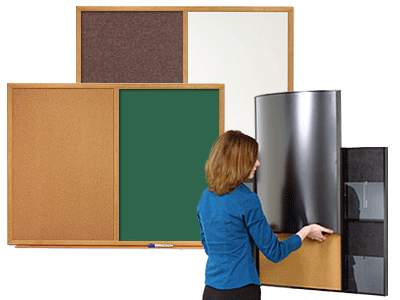 Wall mount or free-standing notice boards offer end users even more possibilities for teaching or posting tasks. 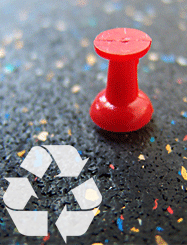 What are the benefits to using cork boards? Do you have an up and coming sports star in your house? Or perhaps a child who has recently made the honor roll? As parents we know that when we encourage our children they can achieve even more than we could imagine. So if you your superstar has recently made the local paper for one of their achievements then maybe something more than the fridge is in order, perhaps a wall mounted newspaper holder. Imagine the feeling of your son or daughter coming home to find their achievement displayed in a newspaper specific frame. Which corkboard should I buy? Marker boards are the educator's friend! Looking to mount boards for posting outdoors? We stock a wide range of models for sale expressly designed for exterior use. Filled with weather-resistant features, these models can display useful information at all hours of the day, not only when the building is open. A great use for these locking cases is for the display of restaurant menus. Not only can you quickly tack a menu to the cork surface, you can also adhere them with magnets in specific models with metal backers. Many of our whiteboards also feature magnetic surfaces. 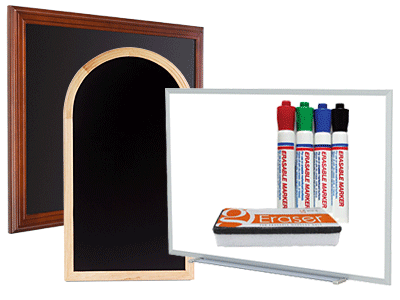 Use a dry erase board for all your teaching needs while sticking notes, pictures, or other posts with a magnet. We sell white boards in wall mount or floor standing styles. The easel floor stands are good choices for presenting content in meetings or conferences. Directory displays, commonly seen in school and office lobbies, perform the task of directing students or visitors to where they need to go. They have been the traditional choice for decades, and we are accustomed to their black felt surface with the little white letters. These letterboards are available mostly in wall mounted models, but we do offer a selection of floor stands which can be strategically placed to help direct lines for waiting or purchasing. Want the best of both worlds? Be sure to check out our collection of combination boards, where we combine different types of posting displays together. These parings include variations of cork, fabric, and dry erase boards. New to our product lines are the information displays. Here, a standard noticeboard is flanked with pockets for displaying magazines or brochures. The overall appearance creates a welcoming display for visitors to peruse your literature to read and/or take with them. It's just another exciting product offered only by CorkBoards2go! View the site directory for a complete listing of our product lines.